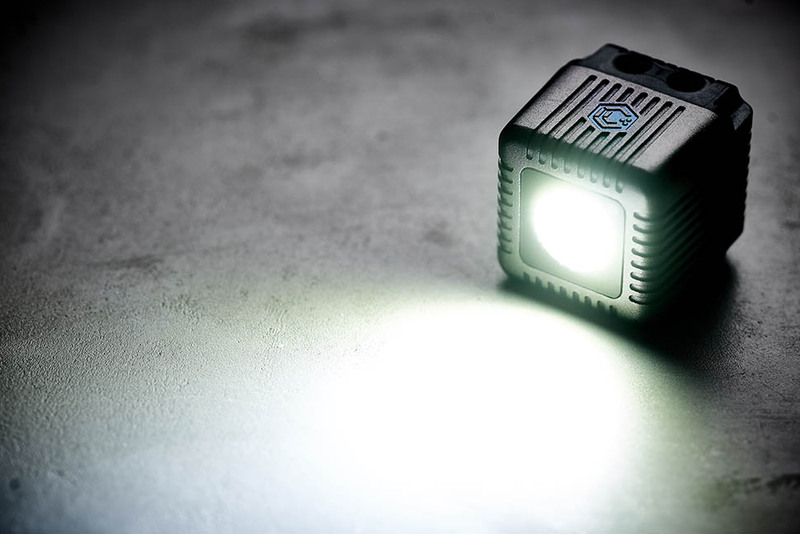 We are always on the look out for a new piece of kit to replace something larger or heavier – recently we have come across Lume Cubes, small but incredibly bright waterproof lights which pack a punch in terms of brightness, and follow it up with a left-hook loaded with tech. On opening the Lume Cubes we were pleased to find a very well made and beautifully designed product. 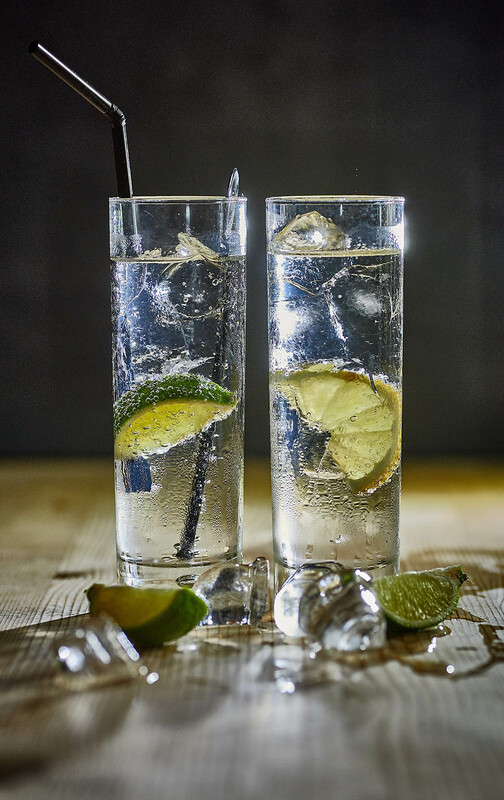 Waterproof and shock-proof, the bright little lights look pleasingly utilitarian, the slick grey metal casing is both robust and smart. The two rubberised buttons on top are the simple controls. One button to hook the light up with your smartphone via the free app – to use the Lume Cube as an off camera flash – very handy for creative lighting (where a side light can really bring out the texture and details in a subject). The other button controls 10 levels of brightness, and switches the light from flash to continuous. They’re waterproof too – the marketing is clearly aimed at the adventure bound – there is a small screw cap set into the back of the Lume Cube, with a rubber o-ring to keep things tight. Underneath is the micro-usb port for charging. 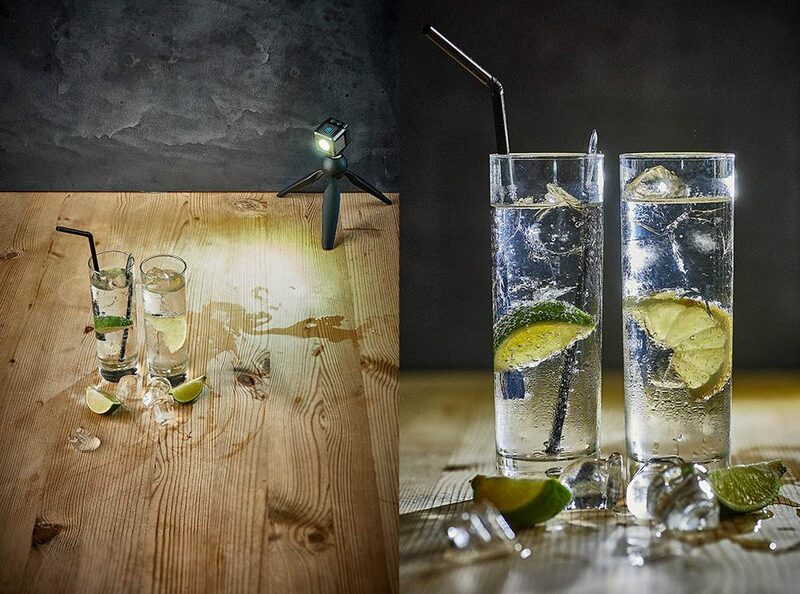 The cubes charged up quickly, and have kept a strong constant output for the duration of or test shoot – we found the lights to be a great addition when shooting drinks! Into the bottom surface of the Lume Cube is set a standard 1/4 20 tripod screw which is great – you do not need to buy a special clamp for them, just pop them on top of a small travel tripod for controlled lighting on a tiny scale. The lights are perfect for mobile phone photography and videography, and could be great to add light to the interior of a car, tent or confined space. 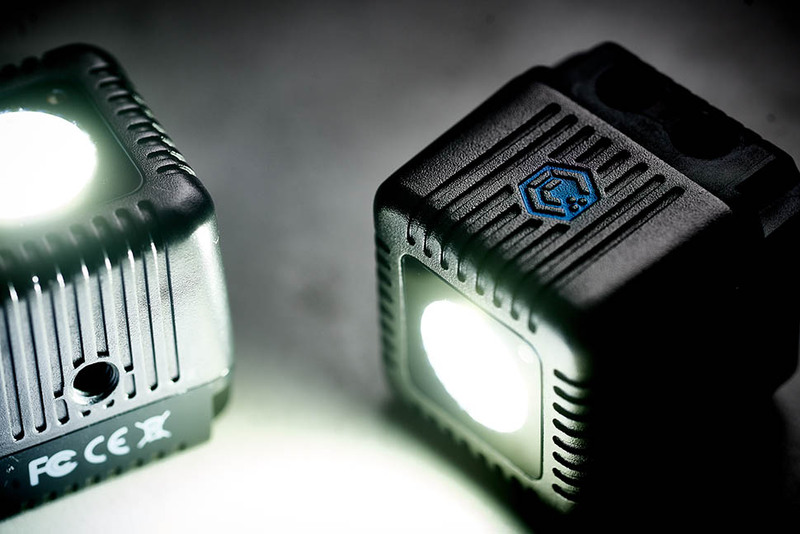 Why would you buy a Lume Cube and not just use an LED torch? You can control the Lume Cubes output to ten different increments. The weather-proofing is a definite advantage when shooting food and liquids. And also if you’re a surfing, adventuring, skate-y guy with upcoming adventure, the recharge-ability of the Lume Cubes is a real bonus, a real plus. They charge via USB. They were quick to charge. I have not tested how long they stay on for yet. The sheer brightness, when I was shooting the animation with them, they burnt the LED Fresnel shape into my retina. The ability to use as an off-camera flash with a camera phone via Bluetooth is fantastic and I think that’ll really increase the battery life of the phone. Plus they do look very cool. I think they are also going to earn their money when I shoot video with the camera phone, as in the example below, where I used two Lume Cubes to bring the shot to life. Why would you buy a Lume Cube and not just use an LED torch? You can control the Lume Cubes output to ten different increments. The weather-proofing is a definite advantage when shooting food and liquids. And also if you have an upcoming adventure, the robust, waterproofness of the Lume Cubes is a real bonus. They charge via USB and are quick to charge. We adore little inventions like this that get you thinking, “Well, how can I use them?” Lume Cubes opens a little door to creativity and new ideas and a new approach to producing an image that you wouldn’t have thought to shoot previously. Plus they do look very cool.